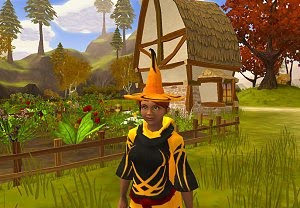 A Mystical Land is a free fantasy MMO game that can be played in your browser or even as a Facebook MMO. The setting is traditional with all the quests, wizards, warriors and such classes, and activities like fishing, gardening and crafting, but features a deep social component and sharing mechanics. You can show your achievements in Facebook and discover your friends. Developers Mad Otter Games say that the A Mystical Land is a very easy game to get into, with casual elements that are simple to grasp, but features a deep gameplay system with a lot to discover.